Travel in our global digital economy would be impossible without the advantages of digital transformation. From checking in online to electronic boarding passes and now my smartphone can scan my passport for electronic check in for flight transfers. All of this became apparent to me when my flight to the start of my holiday was cancelled. 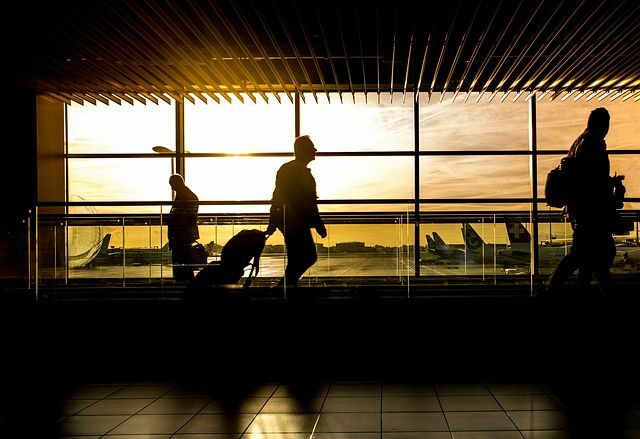 After the natural disappointment and confusion – and of course the look from my wife – we set about rearranging flights, hotels and connections through our trusty business companion. Yes, my phone and tablet. The first port of call was to find a hotel for the night and, being precious, I didn't want some hotel off the airport that the airline would provide and take hours to get to as we were flying on a double decker A380 full to capacity – so anywhere between 500 and 600 passengers! First job done via our favourite booking app and of course making sure that it was secure and on my list of tested and trusted apps. Now, as we had a very tight schedule on connecting flights and onward travel for our holiday, we had to organise a completely new flight plan. We did this with the help of the airline but again completely electronically. This new route was on two different airlines but it got us back on schedule. So now we had our new itinerary, on to check in and selecting our seats. Back to the App Store (others are available) to download the app for the airline. Again making sure that it was the official app and secure. It was up to date and allowed me to scan my passport, update my travel itinerary and necessary personal information, before issuing me my boarding pass. On to our connecting flight to do the same, and send a quick email to our travel agent to tell them of our change of plans and to confirm the new arrangement. Meanwhile, to compensate for losing a day of our holiday, my wife was booking a family trip through Airbnb (again others are available). Again all electronically. The online marketplace now requires photo ID completed (you guessed it) on my phone. I’m now waiting for my connecting flight without a piece of paper in sight. Bags have been scanned and checked through to the right flight. Again, all electronically. There is no queue to rebook, no panic as the length of the queue would take hours. Instead, just a relaxing evening in the hotel with a gin and tonic and a good night sleep all in the knowledge that I had a charged phone with my itinerary and electronic tickets! Not the best way to start a holiday but it was stress free reorganisation through my electronic connection to the digital economy. Clearly secure app development and assessments are essential and make sure that your personal information is handled according to GDPR, but the digital transformation made a bad situation bearable.